I had my first game of WFB in like 15 years last Saturday. I was very excited at the prospect of playing some swords and sorcery stuff again, as it’s been a while. Me and Dethtron had decided on a 1500 point list, mainly to just get used to the rules and whatnot. The battle saw my small force of wimpy looking Tomb Kings vs. Dethtron’s veritable tank of an Empire army. I won’t bore everyone to tears with a Batrep, but we did have a good game, with some truly ludicrous things happening. Dethtron very wisely put his ordnance on hills, which already got me worrying as I only had one Screaming Skull catapult to reciprocate with. So, I was facing a mortar, an effing great big cannon and a crazy looking rocket launcher thingy that looked like a pyromaniacs dream come true. I pretty much stayed my distance and just unleashed plenty of volleys of arrows, while my Tomb King and unit of Chariots took to the flank to try and push them all to center field to end up as more arrow fodder. They ended up against a unit of heavily armored cavalry, after routing another unit of Pistoliers off the table. I was pretty certain that my Tomb King was doomed against these guys, but thankfully held them up in combat for a couple of turns, but alas was sent back to the void after being crushed under the hefty unit. Magic was thrown hither and thither (what?) with some dispels being successful, and others farting out into nothing. We were trading shots for a while too, whittling each side down, although we both had abilities to replenish fallen troops, but I think I had a slight edge on the frequency and amount that this was used. Dethtron scored some direct hits with artillery but then suffered the Wrath of the Ancient Ones, as he rolled successive misfires on each of his artillery pieces, resulting in them being destroyed. Not only did this make me a little less worried about my troops getting mangled, but it also took away my primary targets for my ‘deep striking’ Tomb Scorpion and Tomb Swarms. While my Scorpion’s performance was a little lackluster, the tomb swarms held up two of the Empire units, resulting in him losing his Wizard, and consequently, his army general. With no spells being thrown around (and also no dispels) I was given a little more flexibility. All in all it was a great game. I quickly learnt some strong and weak points concerning the Tomb Kings forces and am pretty excited to have a go at a larger game with some other unusual pieces added. While 40K is still my favorite, this was a helluva lot of fun, who doesn’t like throwing fists full of dice down? Casket of Souls assembly article posted. Just put up the first segment in my Tomb Kings section, showing the construction of the Casket of Souls. You can either click on the link over on the right, or clicky on this different colored linky thing right here. 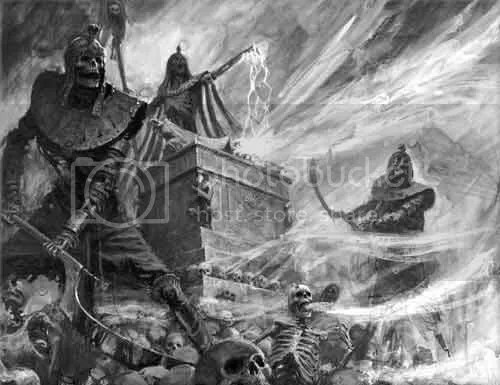 Author PaulPosted on August 18, 2010 Categories Warhammer Fantasy BattleTags Assembling, Casket of Souls, Model Kit, Tomb KingsLeave a comment on Casket of Souls assembly article posted. Next month will see myself and my gaming partner in crime Colin/Dethtron getting together to have a small slap-about with the new 8th edition WFB. We just wanted a small game, to get used to the mechanics, as we are 40K players mostly, with neither of us actually playing a game of WFB for many years. So, we decided to set a 1250 points limit. Colin will be fielding his stalwart troops of The Empire while I will actually be dropping myself, lead weights and all, in the (very) deep end and busting out my Tomb Kings. Now, I’m not sure how Colin fared in putting a list together at this point level, but I can honestly say that there is not that much open for a TK player at this level. To be honest, the new percentages update to the new rules (ftw) are a pain in the nether regions, but I’m sure over time i’ll hate it less and less. I guess we’ll just wait and see what happens… In the meantime I am frantically putting the minis together in readiness, i’m about 80% done so far. Thats it for now, ye skallywags! EDIT: ok, looking this over again, i’m going to get railed. Right up the arse, possibly with a big spikey glove. I’m thinking we need to expand this to at least 2500 pts. Bugger. I was spacing out the other day, wondering what was going to be next on the project table for me to tinker with when I realized that all the armies I choose to collect, painstakingly paint and game with all seem to be obsolete (pretty much) or do so shortly after my decision. Well, we all know where this is right now, well, we don’t, thats actually the whole point. I started collecting my Witch Hunters force back in about 2004 when I wanted to just start collecting and painting minis again. I bought the codex too. It wasn’t until I went uber serious with gaming again (thanks Colin) that I decided to ctually get a playable force together and went out nd bought the 40K rulebook too. Double whammy on this one. No less than 6 months after me buying the rulebook, then that edition was updated to the current edition. DOH! No matter. I picked up the mini ‘rules bits only’ book from the AoBR set, which I still use. Then, all of a sudden, we find out that the Inquisitorial forces of the Imperium are slowly vanishing. Are we getting an overhaul? are we going the way of the Squats? will we actually get plastic Sisters? The last few months have seen Witch Hunters stock disappearing from shelves, including the codex, and then, in turn, the stock becoming unavailable online through GWs web portal. There’s been a lot of nay-sayers and doom bringers on the interwebs, but conversely there have also been some very positive hints and possible ‘leaks’. For the most part, it seems to be the way of GW to snipe a line from sale for it to be released further down the line. This seems positive, although I hope it’s not going to be another year or two off. 50 points for a rhino? pffft! updated codex please! I got bitten by the WFB bug again, and with Colin amassing an Empire force, I wanted to get in on some axes and maces action. 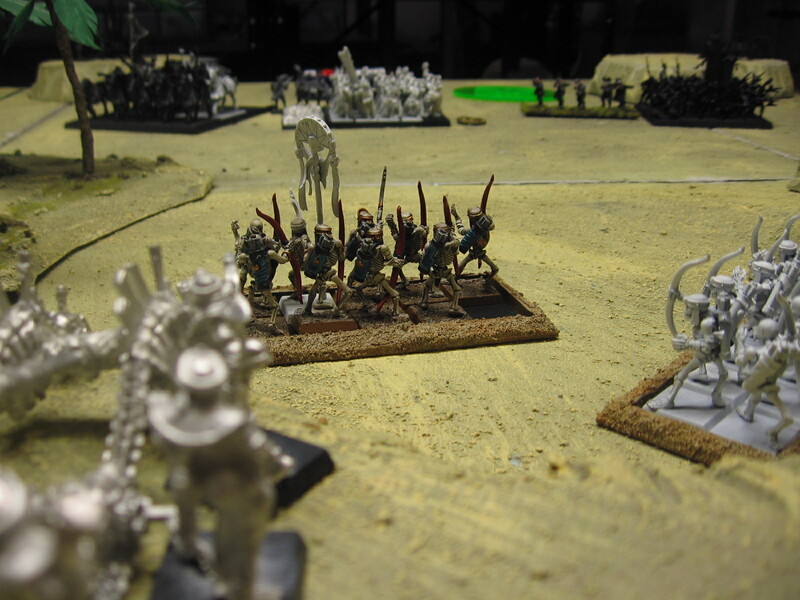 I went with Tomb Kings – Skeletons =cool. Egyptian skeletons with a host of nasty stuff and something akin to the Lost ark of the Covenant = epic WIN. I have managed to score an obscene amount of stuff on Ebay for this, which is awesome, so I don’t feel too bad about collecting this army. It wasn’t until I was surfing one of my regular haunts that I started picking up on other TK players getting twitchy as the army doesn’t seem to be getting any love, apparently because of it’s somewhat ‘fringe’ status, and it not being as popular as the usual Orcs, Chaos etc. I’m hoping for a new army book, although it has just been announced that Orcs and Gobbos are to be released in May, so yet again, something else that will probably be the end of this year, start of early next year. I’m reaaaally hoping they make some new minis to coincide with this, as the Liche Priests and Bone Giant minis = f*cking awful. Which leads me to my Lizardmen. A newly refurbished army, new book, new minis, and i’m collecting them! HA! nothing can go wrong with this one…. Author PaulPosted on March 1, 2010 March 1, 2010 Categories General, Literary musings, Warhammer 40k, Warhammer 40000, Warhammer Fantasy BattleTags Black Templars, Games Workshop, Sisters of Battle, space Marine, Space Marines, Tomb Kings, Wargames, Warhammer 40000, Warhammer Fantasy Battle3 Comments on An unnerving talent….